Current evidence from pathological, clinical and epidemiological studies indicates that there is an association of Alzheimer’s disease (AD) and atherosclerotic disease, through a chronically lowering brain hypoperfusion. Anyway, we should take in account that vascular dementia and AD have different pathological origins with AD linked to low blood pressure and vascular dementia to high blood pressure (4). Jack C de la Torre, one of the developers of the vascular hypothesis (5), in a recent study (6) has implicated many other possible cardiovascular risk factors beyond coronary artery disease, in the development of cognitive impairment preceding AD. Among these risk factors he cites: atrial fibrillation, thrombotic events, hypertension, hypotension, heart failure, low cardiac index and vascular pathology. In his list sounds paradoxical the inclusion of hypertension as one of the cardiovascular risks factors responsible for the development of cognitive decline before AD, taking hypoperfusion as the key factor. Although, he argues that many studies have implicated impaired cognitive function to hypertension in geriatric patients and that is known for some time that hypertension in the elderly is a potential risk factor for AD. De la Torre says that what is still not clear is precisely how hypertension increases the incidence of AD, particularly in those not treated with antihypertensives. His theory is that chronic brain hypoperfusion generated by increased vascular resistance from hypertension may be a key factor linking high blood pressure and AD. a) A meta-analysis of longitudinal studies has shown no significant difference in incidence of AD between subjects with and without antihypertensive medication use (9). b) A review by Cochrane Database tells that there is no convincing evidence from the trials identified that blood pressure lowering in late-life prevents the development of dementia or cognitive impairment in hypertensive patients with no apparent prior cerebrovascular disease (10). What sparked my interest regarding Alzheimer’s disease and its association with atherosclerosis / cardiovascular disease was a recent report by Medical News Today (12) informing that the use of beta-blockers for the treatment of hypertension resulted in fewer Alzheimer’s type brain lesions on autopsy than the use of other hypertensive medications. This study involved 774 elderly Japanese-American men who took part in the Honolulu-Asia Aging Study (8). Autopsies were performed after the death of the participants. Of the 774 men, 610 had high blood pressure or were being treated with medication for high blood pressure. Among those who had been treated (about 350), 15 percent received only a beta blocker medication, 18 percent received a beta blocker plus one or more other medications, and the rest of the participants received other blood pressure drugs. They found that all types of blood pressure treatments were clearly better than no treatment. However, men who had received beta blockers as their only blood pressure medication had fewer abnormalities in their brains compared to those who had not been treated for their hypertension, or who had received other blood pressure medications. The brains of participants who had received beta blockers plus other medications showed an intermediate reduction in numbers of brain abnormalities. These included two distinct types of brain lesion: those indicating Alzheimer’s disease, and lesions called microinfarcts, usually attributed to tiny, multiple, unrecognized strokes. Study participants who had taken beta blockers alone or in combination with another blood pressure medication had significantly less shrinkage in their brains (13, 14). 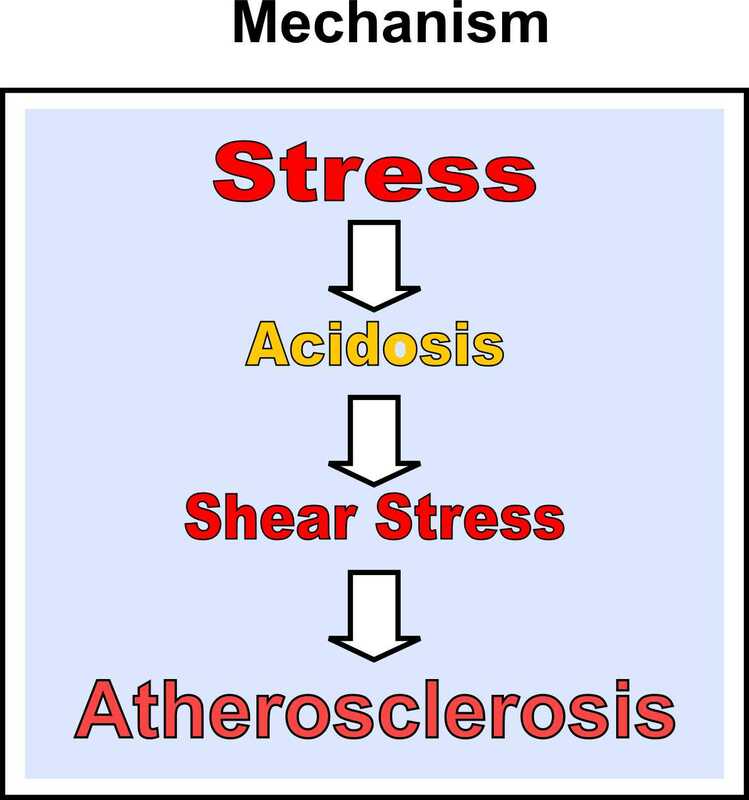 Moreover, I see some convergence between White’s interpretations and our concepts that the autonomic nervous system dysfunction, with sympathetic dominance, is the primary factor in the cascade of events leading to atherosclerosis, according the acidity theory developed by us in 2006. On the other side beta-blockers have sympatholytic effects that led to a reduction in the progression of atherosclerotic plaques in many studies. The use of sympatholytics might offer some benefits to AD in this sense (16). So, we searched for papers about autonomic dysfunction and beta-blockers use in Alzheimer’s disease. Regarding autonomic dysfunction I found many studies showing this relationship, with the indication of increased sympathetic activity and decreased parasympathetic activity in patients with Alzheimer’s disease (17-25). I also noticed about a recent hypothesis stating that elevated endogenous brain norepinephrine may be an etiological factor in some cases of AD, both before and during disease progression (26). In fact, a recent study found that baroreflex function is reduced in Alzheimer’s disease (27). Impaired baroreflex sensitivity may activate the sympathetic nervous system (28). The first study demonstrating some benefit of beta-blockers use in senile dementia occurred when six patients exhibiting severe disruptive behavior were effectively treated with propranolol which controlled this condition in all cases, without the need of inducing general sedation (29). More recently, a large population-based study of persons 65 years and older reported that the use of antihypertensive medications, including beta-blockers, significantly lowered the risk of AD (30). In a subsequent analysis of the Cache Count study of individuals with incident AD, the participants taking beta-blockers – mostly patients with angina - experienced 40% decrease in rate of functional decline compared to those not taking beta-blockers (31). Also, animal experiments using the beta-blocker carvedilol found that it interferes with neuropathologic, biochemical and electrophysiological mechanisms underlying cognitive deterioration in AD supporting the potential development of carvedilol as a treatment for AD. In other publication the same group says that their results suggest that carvedilol reestablishes basal synaptic transmission, enhances neuronal plasticity and suppresses neuronal hyper-excitability in mice (33, 34). a) The effect of betablockers as a treatment for primary hypertension has been questioned. In a meta-analysis study published at Lancet Journal in 2005 the authors say that the effect of betablockers compared to placebo is less than optimum, with no difference for myocardial infarction but with a raised risk of stroke (35). By the way, hypertension is a highly prevalent risk factor for stroke. b) A recent study confirm that the use of beta blockers do not appear to be of any benefit in three distinct groups of stable outpatients: those with coronary artery disease but no history of MI; those with a remote history of MI (one year or more); and those with coronary risk factors only (36). c) Moreover in a randomized trial study published in Lancet Journal in 2008 the authors say that there were more deaths in the metoprolol group than in the placebo group in patients undergoing non-cardiac surgery (129 versus 97 patients) (37). d) Finally, a new meta-analysis suggests that beta-blockers have little effect in heart-failure patients with atrial fibrillation (38). Beta-blockers have been a cornerstone of the treatment of heart failure and are recommended for both HF and AF treatment, albeit for different indications. In HF recommendations, beta-blockers are indicated as standard therapy for all patients to reduce morbidity and mortality, paradoxically, even in systolic heart failure that is caused by reduced cardiac contractility that results in inadequate cardiac output. So, while betablockers may be seen useful in atherosclerosis and in other diseases its poor results in the clinical situations cited above might be related to their effects of generalized hypocontractility, as advocated by Mesquita and colleagues since 1979 (39). The decreased myocardial contractility caused by the use of beta-blockers deserves further researches not only to confirm if the negative inotropism is the real culprit for the poor results achieved by these drugs as well to look for other sympatholytic drugs that will help the brain without depress the heart. An alternative sympatholitic that should deserve a further research for the treatment of hypertension and atherosclerosis should be digoxin at low dosage that might offer some beneficial effect in lowering the risk for dementia and AD (16). 9. Guan JW, Huang CQ, Li YH, Wan CM, You C, Wang ZR, Liu YY, Liu QX. No association between hypertension and risk for Alzheimer's disease: a meta-analysis of longitudinal studies. J Alzheimers Dis. 2011;27(4):799-807. 10. McGuinness B, Todd S, Passmore P, Bullock R. Blood pressure lowering in patients without prior cerebrovascular disease for prevention of cognitive impairment and dementia. Cochrane Database Syst Rev. 2009 Oct 7;(4):CD004034. 11. Kuyumcu ME, Yesil Y, Oztürk ZA, Halil M, Ulger Z et al. Alzheimer's disease is associated with a low prevalence of hypertension. Dement Geriatr Cogn Disord. 2012;33(1):6-10. 14. White L, Gelber R. Launer T et al. Beta Blocker Treatment of Hypertensive Older Persons Ameliorates the Brain Lesions of Dementia Measured at Autopsy: The Honolulu- Asia Aging Study"; Author/presenter: Lon White; abstract due to be presented 21 March 2013, abstract 2171, at AAN 65th Annual Meeting, San Diego. 15. Susan Hughes, Beta-blockers linked to fewer Alzheimer’s lesions. Heartwire, January 8, 2012. 17. Idiaquez J, Roman GC et al. Autonomic dysfunction in neurodegenerative dementias. J Neurol Sci. 2011 Jun 15;305(1-2):22-7. doi: 10.1016/j.jns.2011.02.033. Epub 2011 Mar 25. 18. Toledo MA, Junqueira LF Jr et al, Cardiac autonomic modulation and cognitive status in Alzheimer's disease. Clin Auton Res. 2010 Feb;20(1):11-7. 20. Algotsson A, Viitanen M, Winblad B, Solders G. Autonomic dysfunction in Alzheimer's disease. Acta Neurol Scand. 1995 Jan;91(1):14-8. 22. Vitiello B et al. Autonomic dysfunction in patients with dementia of the Alzheimer type. Biol Psychiatry. 1993 Oct 1;34(7):428-33. 24. Borson S et al. Impaired sympathetic nervous system response to cognitive effort in early Alzheimer's disease. J Gerontol. 1989 Jan;44(1):M8-12. 25. Franceschi M eT AL. Signs of cardiac autonomic dysfunction during sleep in patients with Alzheimer's disease. Gerontology. 1986;32(6):327-34. 27. Meel van den Abeelen AS, Lagro J et al. Baroreflex function is reduced in Alzheimer’s disease: A candidate biomarker? Neurobiol Aging 2012 Nov 7SO197-4580 (12) 00521. 30. Khachaturian AS, Zandi PP, Lyketsos CG, et al. Antihypertensive medication use and incident alzheimer disease: the cache county study. Archives of Neurology. 2006;63(5):686–692. 33. Wang J, Ono K, Dickstein DL, Arrieta-Cruz I et al. Carvedilol as a potential novel agent for the treatment of Alzheimer's disease. Neurobiol Aging. 2011 Dec;32(12):2321.e1-12. A large population-based study, published in 2014 (1), found a link between vitamin D deficiency and the risk of developing dementia. This study says that older people who do not get enough vitamin D could double their risk of developing the condition. Vitamin D comes from three main sources -- exposure of skin to sunlight, foods such as oily fish, and supplements. Interesting is that in another study, published in 2013 (2), the authors concluded that vitamin D deficiency is associated with suppression of resting cardiac autonomic activity, while low vitamin D levels are associated with unfavorable cardiac autonomic, offering a potential pathophysiological mechanism that may be acting to elevate CV risk in populations with low vitamin D status.